Today I’m sharing another great cookbook that would make a fabulous gift and of course there is a giveaway, too! This past spring I met Melissa Lanz from The Fresh 20. Melissa and her husband Trent are more of those sweet and wonderful people that I am so happy to have connected with through blogging. They are absolutely adorable together and they do an amazing job putting out great content and services. Melissa’s website is a weekly menu subscription service where you buy just 20 fresh ingredients each week for the recipes in the menus. I find it all very impressive and, since many of us are meal planners, I’m sure you would love her site, too! 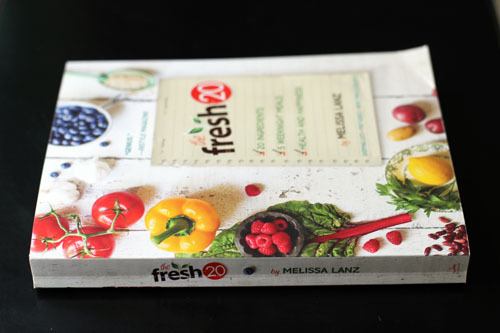 Melissa published a beautiful cookbook this year called The Fresh 20. 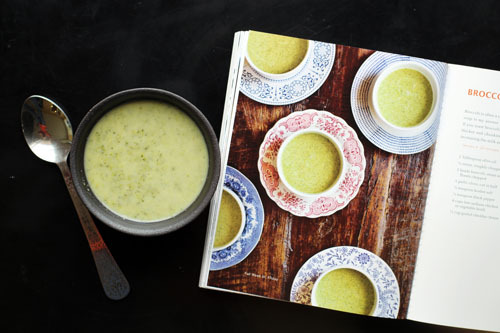 The book provides 4 weekly menus for each season of the year with accompanying recipes. The book is a great primer on meal planning and stocking your kitchen, and the recipes look absolutely scrumptious. Last night I made the Broccoli Cheddar Soup. 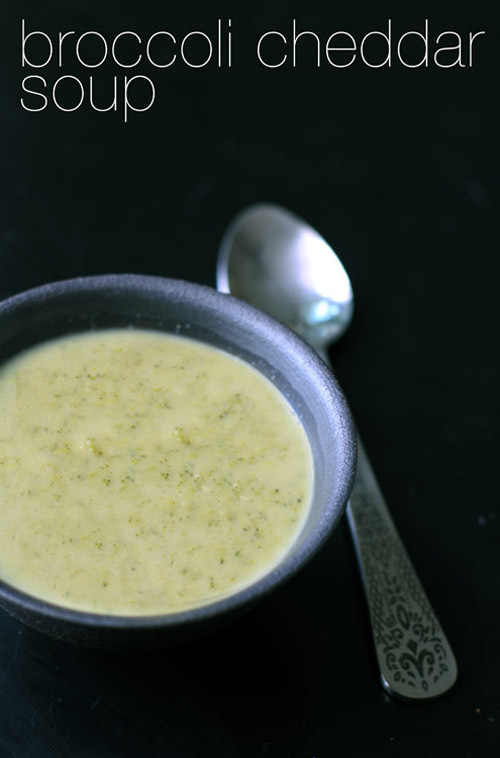 The recipe for broccoli cheese soup that I normally use is really, really good. But it is sooooo unhealthy, boasting butter, fat and gobs of cheese as some of the ingredients. Melissa’s recipe is a delicious alternative, with just a hint of cheese and no cream or butter to be found. Nate and I agreed that, despite the lack of fats, it is just as yummy and much fresher tasting. And, biggest win, all three kids liked it. In fact, Owen LOVED the soup. He ate three bowls. This is quite the feat considering I normally can’t get him to try anything new or eat vegetables. Every time he asked for more soup last night, it made me so happy! Melissa has offered up an awesome giveaway for today! TWO of you lucky people will each win a copy of her book plus a 1 year subscription to The Fresh 20. So great! And, of course, here is Melissa’s fabulous soup recipe. This is just scratching the surface of how great the recipes are. If you want to buy the book, click here! Heat the oil in a 5-quart dutch oven or other heavy pot over medium heat. Add the onion and saute until tender about 4 minutes. Add the broccoli, garlic, salt, and pepper and cook for 3-4 minutes. Add the broth and bring the soup to a simmer. Remove from the heat. 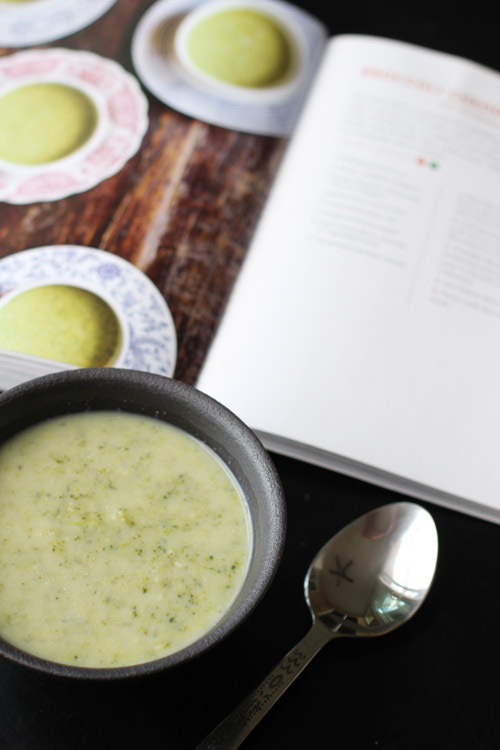 Transfer the soup to a blender or food processor in batches and puree until smooth. Return the soup to the pot, bring to a simmer and simmer for 3 minutes. Just before serving, fold in the cheese.